Tuesday, August 21, 2018. I was very greatful to Allah who was giving me the life. In the early morning, we would go to Baguio to Ied Adha pray. Frankie, Stephanie, and Jhau Fei accompanied us. We always brought our umbrella because it still rain. We went by jeepney on 7.00 a.m. We got information that the pray would be hold in the field near the Burnham Park. Unfortunately, there was anyone there because the heavy rain. After that, we went to mosque. The pray already finished when we arrived there. 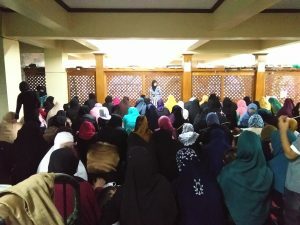 So, we just stayed in the mosque and heard the khutbah. We met moslem people, of course. I felt so happy and thankful to God. 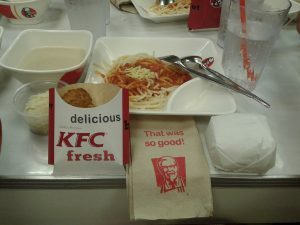 Then, we ate in the KFC. 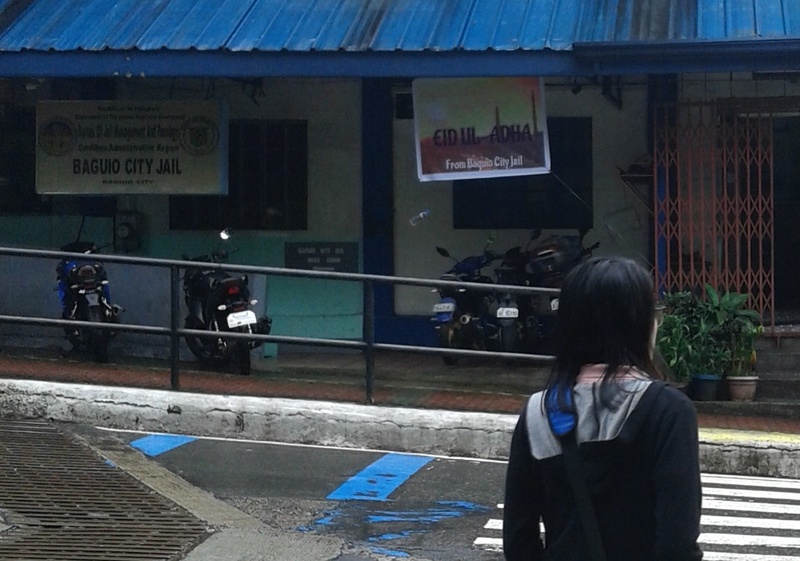 On my walk, i saw a nice banner in Baguio City Jail. Like this. After that, we was looking for some souvenirs in Baguio. Some of us bought chicken and vegetables for our dinner. We also dropped in Frankie’s apartment. My friend would search some materials for her final demo teaching in there because Frankie had a excellent connection of his WiFi. We watched the opening ceremony of ASIAN Games, except me. I fell asleep on there for a few minutes. 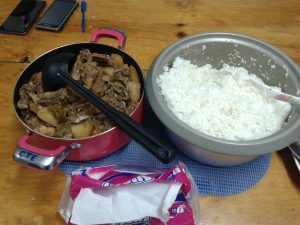 Then, we came back to dorm and cooked for our dinner. Frankie would cook ‘Adobo’ for us. I would say thank you very much for our buddies. 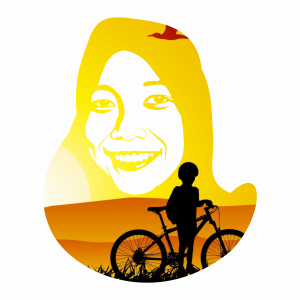 Especially for Frankie, Stephanie, and Jhau Fei thanks for being our friend (our sister and brother in Onde Mande Family). 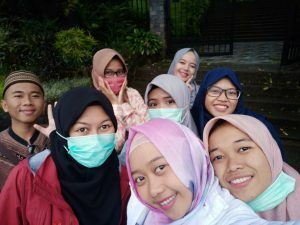 Thanks for giving your time, accompanying us, helping us, etc. Without you, we ware nothing hehehe. I couldn’t repay their kindness I just gave them Onde Mande Card. Hehehe. Thanks to BSU that gave a kind buddies for us. I was enjoyed life in Benguet.